With 4.5G Pro, a major milestone in the evolution of LTE has been reached: 10x faster user data rates compared to the initial LTE networks. That said, however, 1Gbps is neither the limit nor are higher peak data rates the only way to attract customers. LTE is evolving to enable new services. In our new white paper “New services with 4.5G, 4.5G Pro and 4.9G”, we discuss the opportunities for mobile network operators, enterprises and governments to benefit from the technological possibilities enabled by the evolution of 4G. Mobile is becoming elemental to many facets of our daily lives, as witnessed by the omnipresent smartphone and uses thereof. The adoption of smartphone apps is impressive and serves as valuable learning on how the virtuous circle of device capabilities, network performance, application development and user adoption is evolving over time. Consequently, the path to 5G is not only about network enhancements, but more about pioneering new services enabled by these enhancements. Mobile IoT, ultra-broadband, broadcasting, vehicular communication, public safety and private networks are all elements on this service development path of mobile communications into the next decade. 4.5G, 4.5G Pro and 4.9G leverage the global LTE ecosystem and network coverage to enable the enhancement of existing services, such as wireless broadband towards 3Gbps, and the development of new services for existing and new users. In 2020, GSMA Intelligence expects that LTE will cover 63% of the world’s population, a fact that underlines the transformational power of the emerging LTE-based services, not least in smart cities, where they will jointly help to ensure a people-friendly, efficient, safe and sustainable way of life. 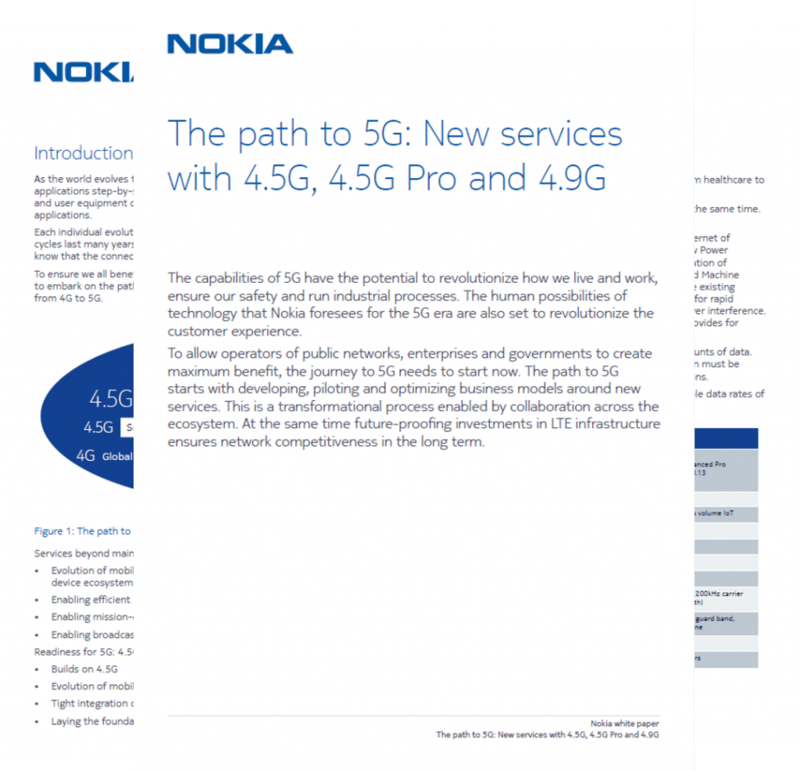 Download the whitepaper: New services with 4.5G, 4.5G Pro and 4.